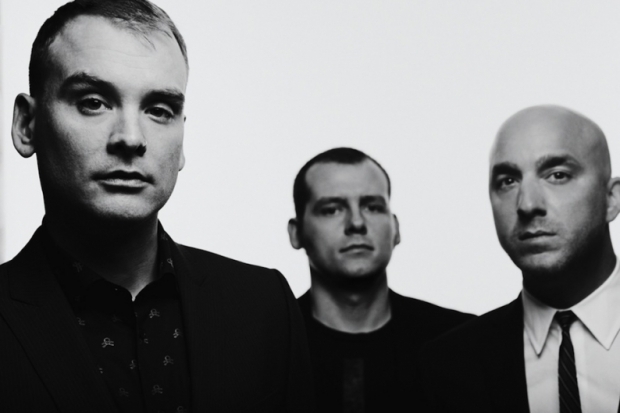 For the best part of three years there has been a lingering sense of doubt, manifesting in a sensation akin to an itch you just can’t quite scratch, as to the future of Alkaline Trio. Would Matt Skiba taking up the reins in Tom DeLonge-less Blink 182 spell the end for Chicago’s favourite Satanic sons? The release of ‘Blackbird’ – a precursor to their to ninth studio album ‘Is This Thing Cursed?’ – has removed the boot from the neck of doubt. This is vintage Alkaline Trio and we’re more than happy to drink up the Kool Aid that messrs Skiba, Andriano and Grant are serving up. ‘Blackbird’ has all the hallmarks of mid-2000s Trio with jangling, haunting, staccato riffs, a tale of a dark force bringing death from above wrapped in the guise of a female protagonist and a chilling, instant-classic chorus. It is a portrait of the world and the future we face that only Alkaline Trio could paint. Even a heavy involvement with Blink 182 could not dull the cynicism and twisted poetry that could only flow from the pen of Matt Skiba. What it also does, is lay down the foundations for an album that teases an Alkaline Trio returning to their absolute best. It is good to have them back.